15mm.co.uk: New Chuhuac 15mm Space Raptor vehicle coming in November! 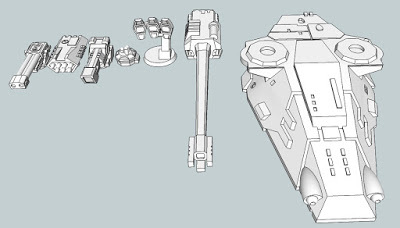 New Chuhuac 15mm Space Raptor vehicle coming in November! Loud Ninja Games has their own page on our website HERE and next month there will be a new light vehicle added to their range. 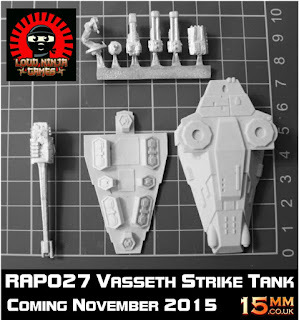 Coded RAP027 Vasseth Strike Tank it is a resin and white metal vehicle that is part of the Chuhuac Space Raptors in 15mm scale. As you can see it will be some 70mm long and 40mm wide at its widest point and all you see will come in the pack meaning many variants possible. The pack will be priced at 6.00GBP and will leave you pieces for your bits box too. 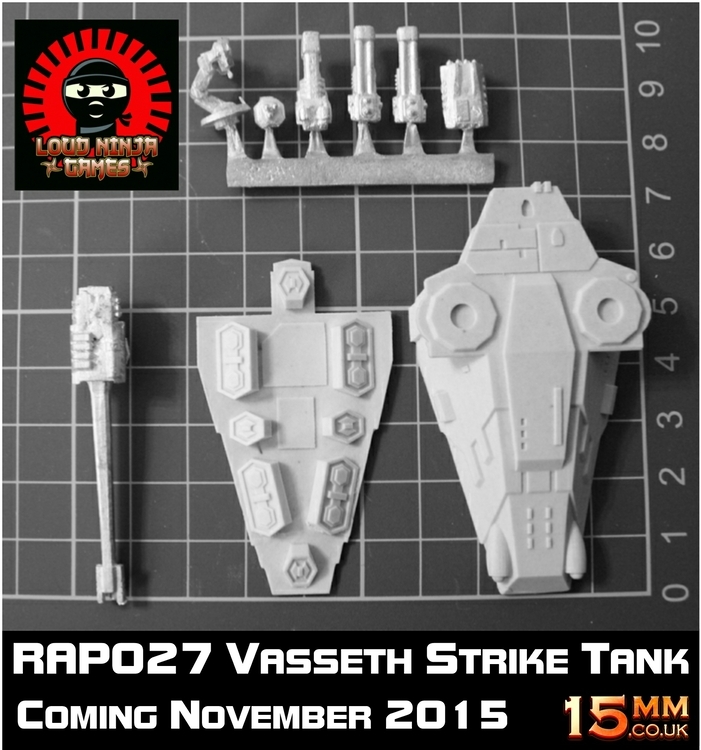 Eli Arndt kindly posted up two more images of the 3D render of the Vasseth and the original printed pieces which 15mm.co.uk has now molded up. The second image shows the RAP008 Sirrus APC for scale and this vehicle is part of the range now. There will be photos of built and painted Vasseth nearer the time of release. Sam Croes likes this model so much he will be doing the painting himself!